This trick is very cool and pretty useful in some situations. It will help you take a look at something at your home while nobody is there. For example while you are on a vacation you can check on something valuable back at home. It is something like home video surveillance with Skype and a webcam. In order for this to work you need to have a computer with Skype, a webcam, and a mobile phone with Skype. You can do it without the mobile phone, but then you need another computer with Skype at the place where you will be when you are checking the video. First you need to make a second Skype registration. Next you need to set it up in a way that does not allow calls from people outside your contact list. In order to do that, open Skype, sign in with your name and password, now go to the menu Tools, then Options and click Privacy. Now on each place choose People in my contact list only. Click Save. Now you have to add your normal Skype account in the contact list of your new one. 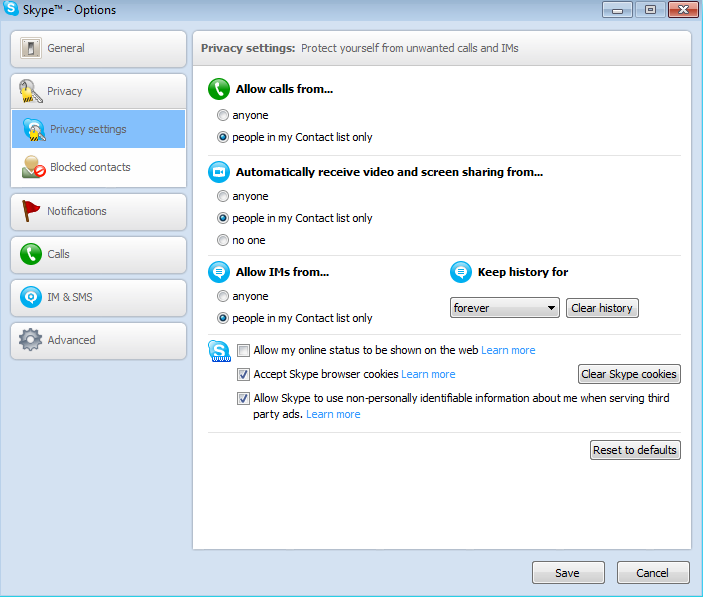 And the last step is to make Skype automatically start a video call when someone calls you. 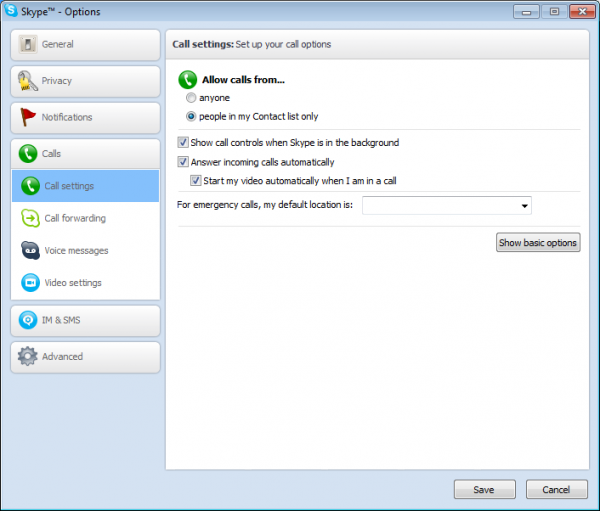 To do that go to Tools -> Options… -> Calls -> Show Advanced Options, check the two checkboxes Answer incoming calls automatically and Start my video automatically when I am in a call and click Save. Now if you just leave the computer turned on with a connected webcam (pointed at the object you want to monitor), working internet connection and Skype signed-in with your new account, you can simply call from anywhere and you will automatically see a live video of the object you are monitoring. This is a very easy and free way to make a video surveillance system at home. You can even use this trick for other purposes like watch over a sleeping baby from another room in the house. This is very cool! Thank you!!!! Hi, thanks for the feedback :). I didn’t come up with it though, I saw the idea somewhere online and I decided to share it here.